Shopping for a wool area rug can often be like shopping for a wool sweater. The texture and pattern are beautiful, you might think to yourself, but how long will it stand up to my busy, pet-cuddling, red-wine-spilling lifestyle? 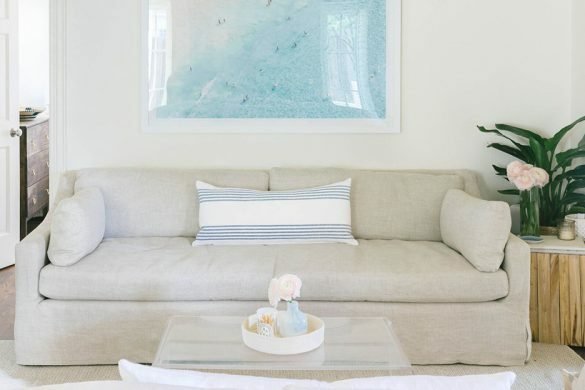 As it turns out, wool rugs can be one of the best décor investments for your home, and with just a little regular care, they’ll last for years to come. Depending on the weave, a wool rug can add a sophisticated statement, extra softness, or a durable, dependable floor covering to any room in the house. 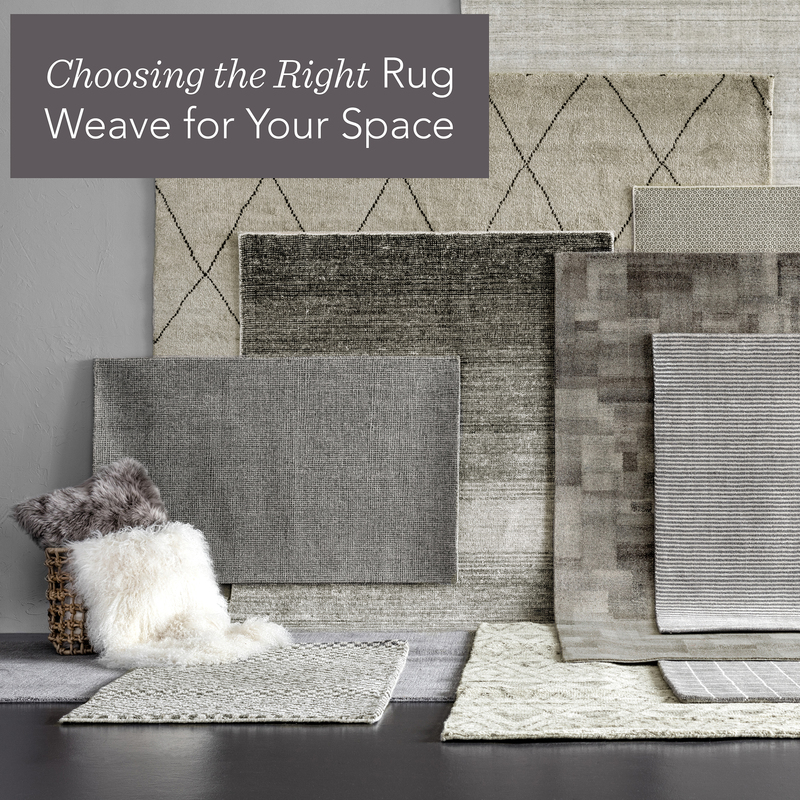 Wondering which wool area rug is best for your space? 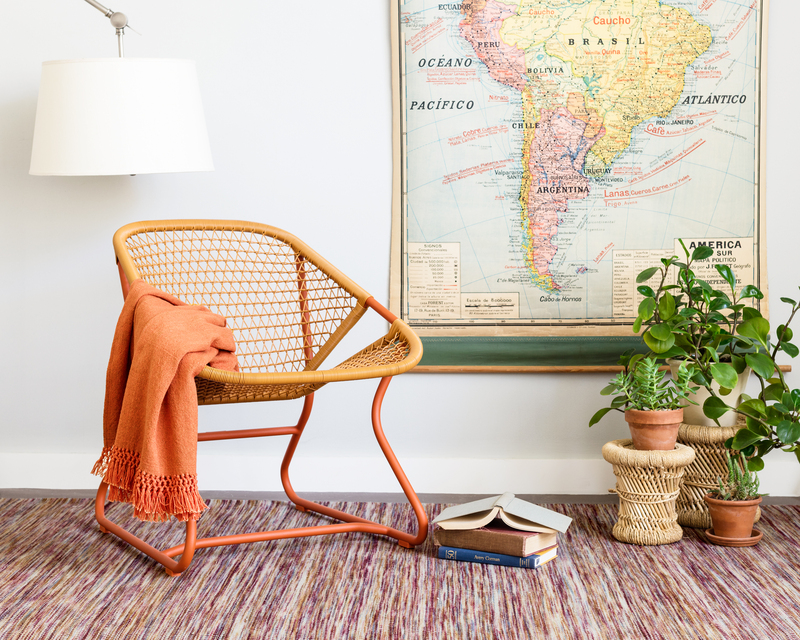 Annie is here to help with her in-depth rug-weave series and she’s taking you from the entryway and living room to the playroom and home office in one style-savvy post. 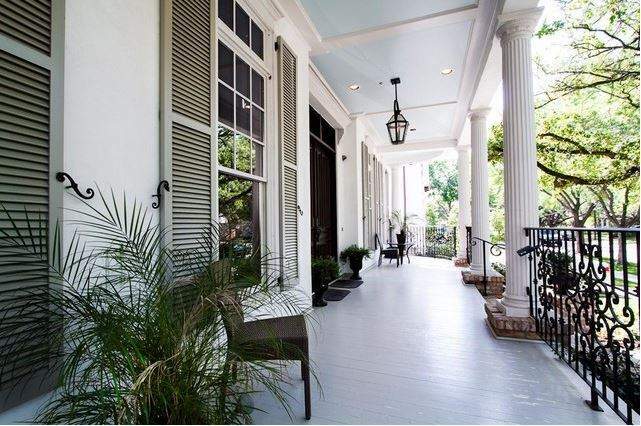 Stay tuned for information on cotton woven rugs and indoor/outdoor rugs! 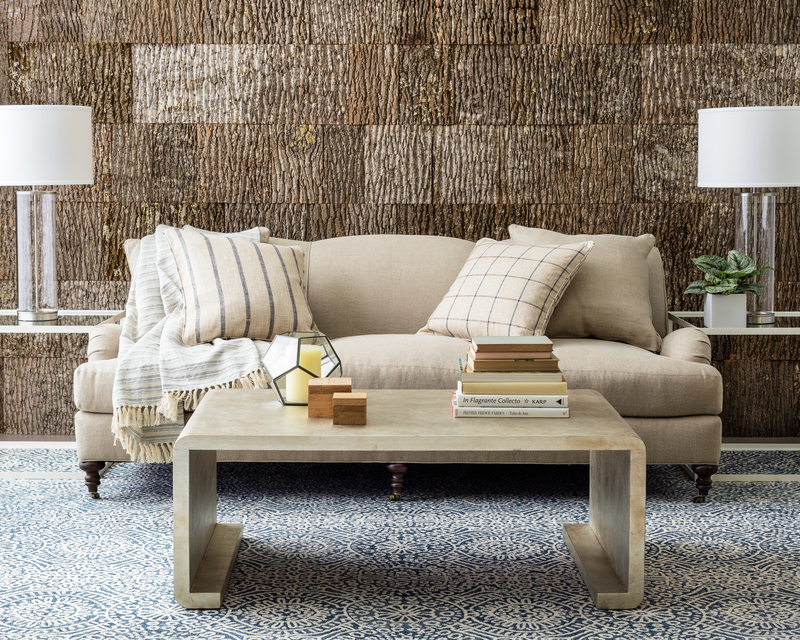 With a rougher hand and a dense, durable construction, woven wool rugs have a natural earthen charm and that familiar rustic texture. 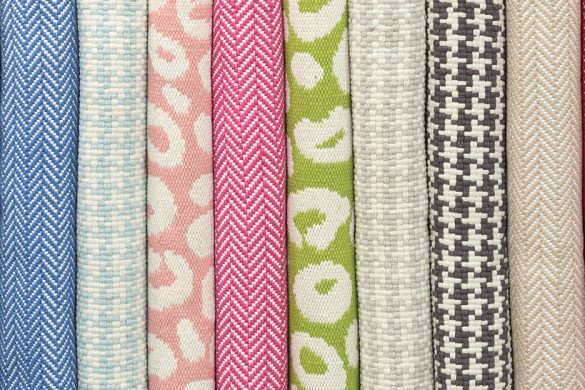 Woven by hand from 100 percent wool yarns, these area rugs come in a variety of stripes and striking patterns, and work best in low-traffic areas, like guest rooms, home offices, and sitting areas. 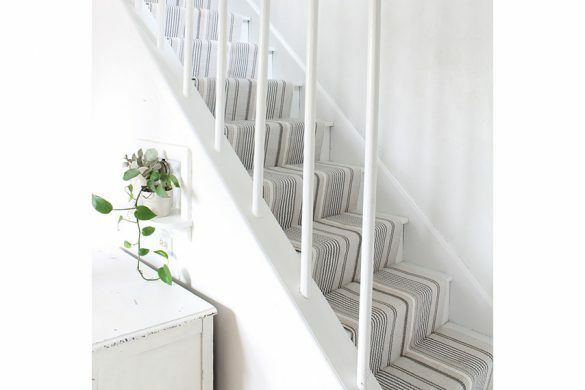 Lightweight and reversible, woven wool rugs are also super easy to care for; an occasional gentle shake and flip, plus regular vacuuming are all that’s needed to keep them looking like new. We recommend seeking a professional cleaner for stains. 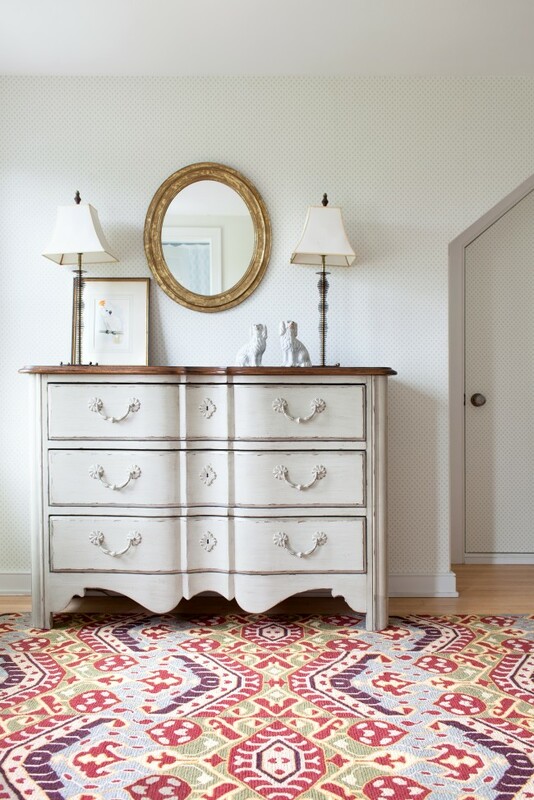 Sophisticated, unusual, and endlessly appealing, a soumak wool rug is a conversation starter. Crafted through a complicated technique that involves the artisan skillfully braiding the weft yarn around an additional warp, soumak area rugs have a more textured surface than their wool woven counterparts, and feature a dynamic pattern with lots of visual movement. Soumak woven wool rugs are for indoor use only, and work well in living rooms, bedrooms, and home offices. 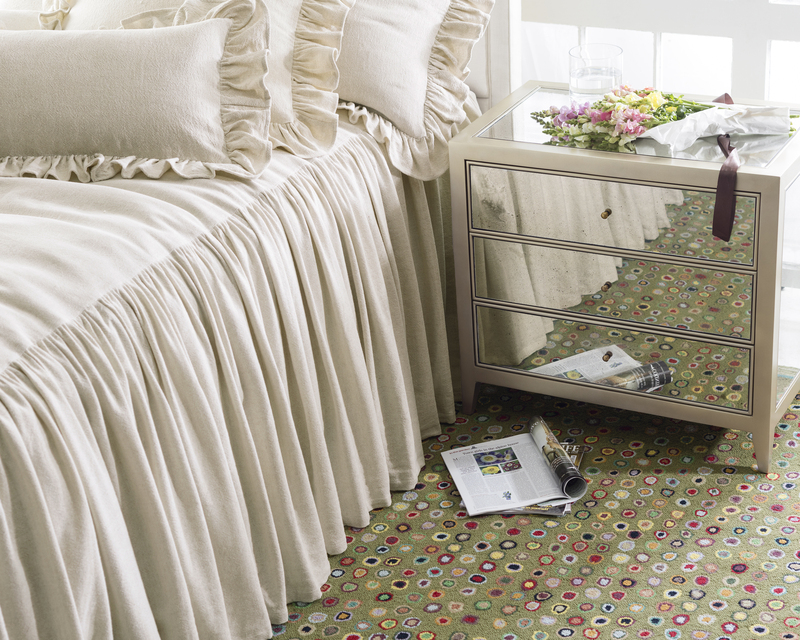 Soumak woven wool rugs require regular vacuuming and a good shake to keep them looking their best. Professional cleaning is recommended. 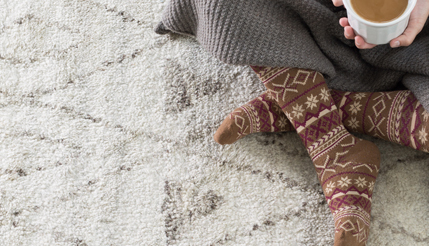 Just like that that classic LBD hanging in your closet, a hooked wool rug requires little maintenance yet provides years of style and sophistication. 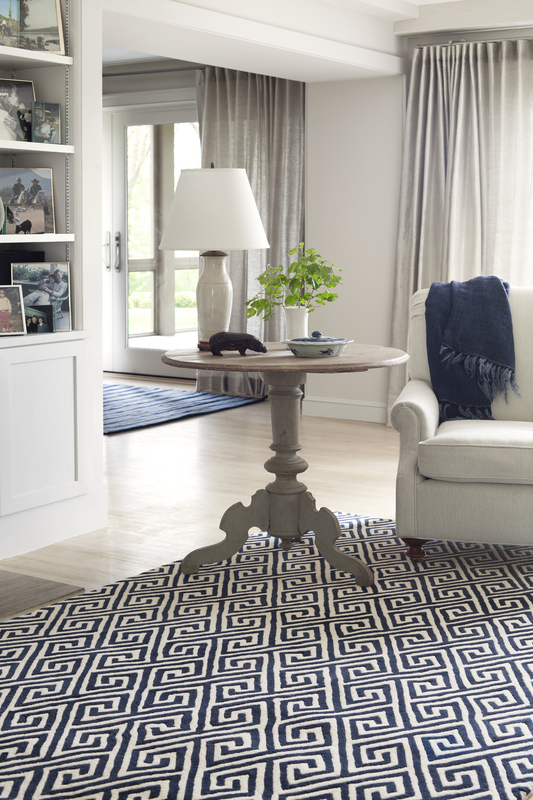 The size of the hook and the yarns will help you determine where to place your rug. 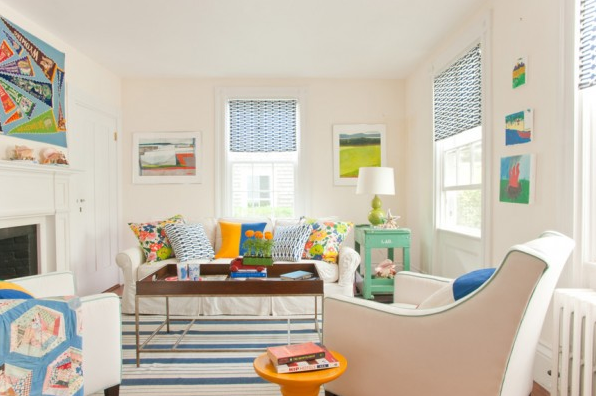 Micro-hooked wool rugs are made with smaller wool yarns in tight hooks that create a low-profile rug. 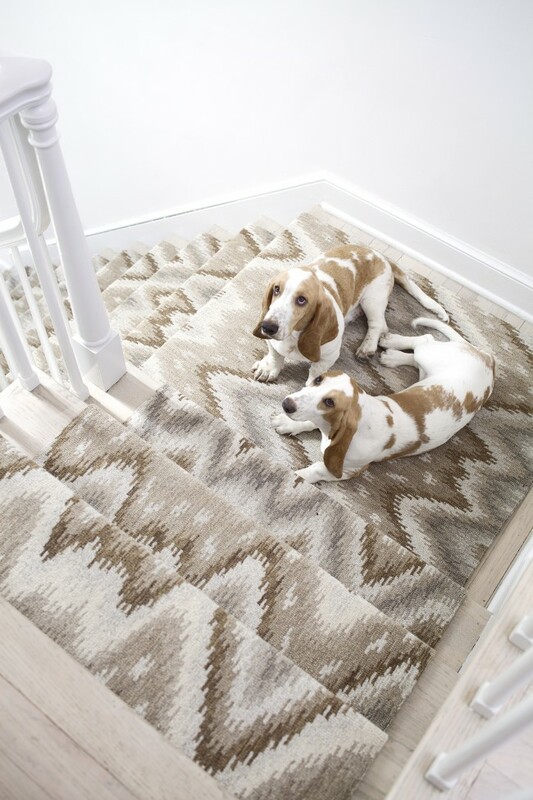 Totally durable yet utterly refined, micro-hooked wool area rugs are perfect for high-traffic areas, including hallways, entryways, stairs, and even the kitchen or mudroom. 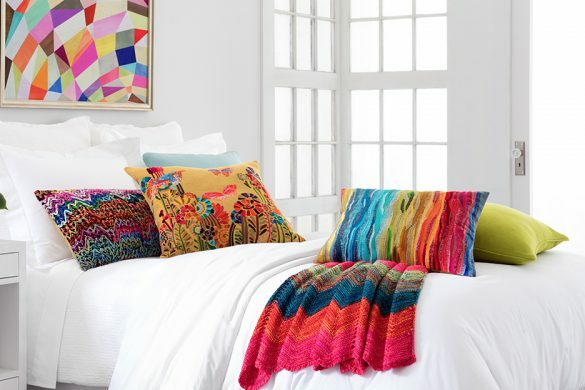 Just as durable as their smaller hooked friends, medium-hooked wool rugs, crafted from four to five plies of thick wool yarn in large hooks, feature a higher profile, making them a cushy delight for bedrooms and living rooms. 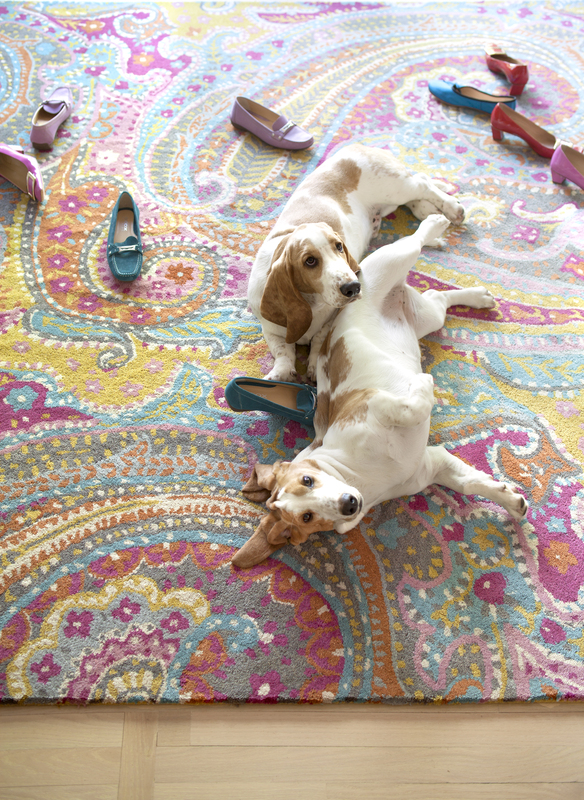 Hooked wool rugs need regular vacuuming, a good shake, and occasional grooming to stay in tip-top shape. Got a set-in stain? 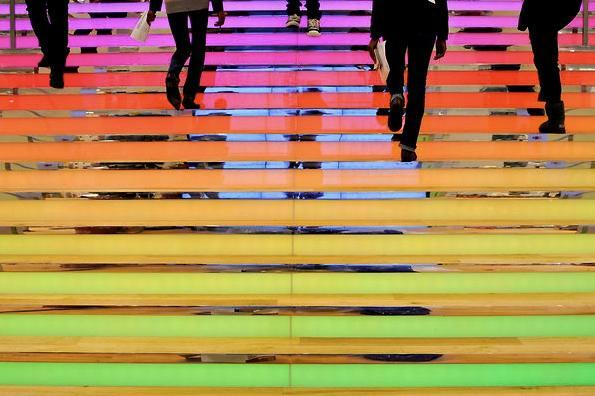 This is a job for a professional cleaner. Full and lush, tufted and carved wool rugs are a true treat for the feet! 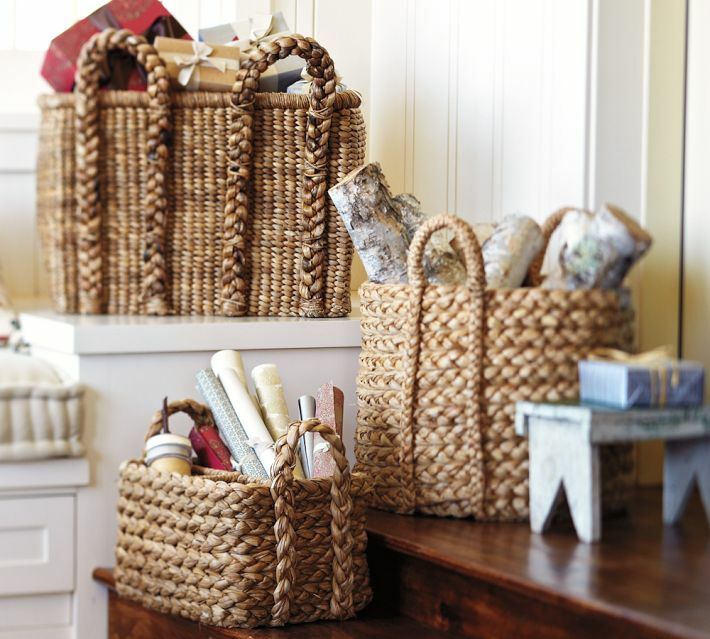 Thick wool yarns are hand hooked in intricate designs, and then sheared to create a lush pile. The pile is then hand carved along the design, creating an area rug with a truly luxurious feel. The wool rug weave with the highest, cushiest profile, tufted and carved wool rugs are at home in living rooms, dining rooms, and master bedrooms. During the first few weeks of use, tufted and carved wool rugs look a bit fuzzy on the surface; this is caused by loose fibers that are trapped during the weaving process and later brought to the surface. Regular vacuuming and the occasional shake should take care of any stray fibers, dirt, hair, and more. Professional clean only. Crafted by only the most skilled artisans, hand-knotted wool rugs are timeless investment pieces. Because of their unusual weave, which lies in a single direction and is not apt to pull, hand-knotted rugs can appear lighter from one angle than the other—an optical illusion that’s part of their eye-catching appeal. Plush and sumptuous, these area rugs are perfect for “center stage” rooms like the living room or bedroom, nursery, or playroom. Due to their intricate, handmade nature—and to protect your investment—hand-knotted wool rugs should be professionally cleaned. Kilim woven wool rugs feature weft-created, geometric patterns; knotting creates an open weave that gives more definition and dimension to the pattern, while interweaving creates a softer pattern with intermingled colors. 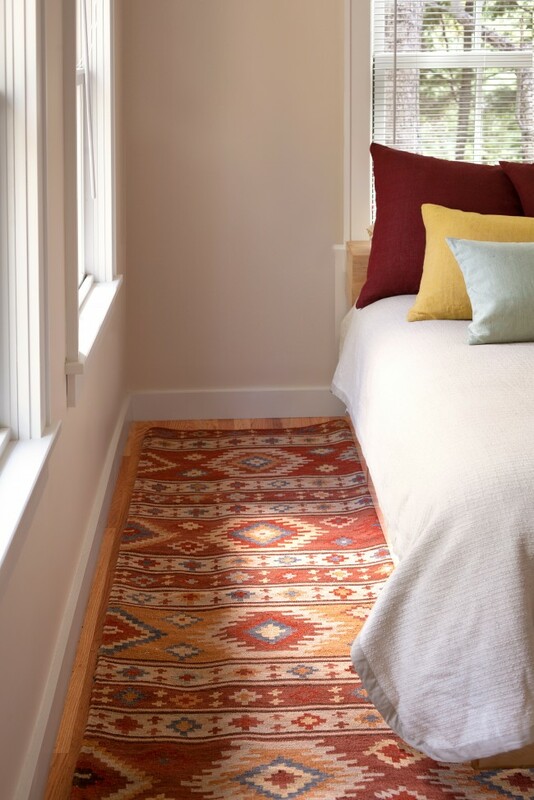 Durable, bold, and low-profile, these show-stopping kilim rugs are natural accessories for any room that could use a personality perk-me-up, including bedrooms, dining rooms, and family spaces. 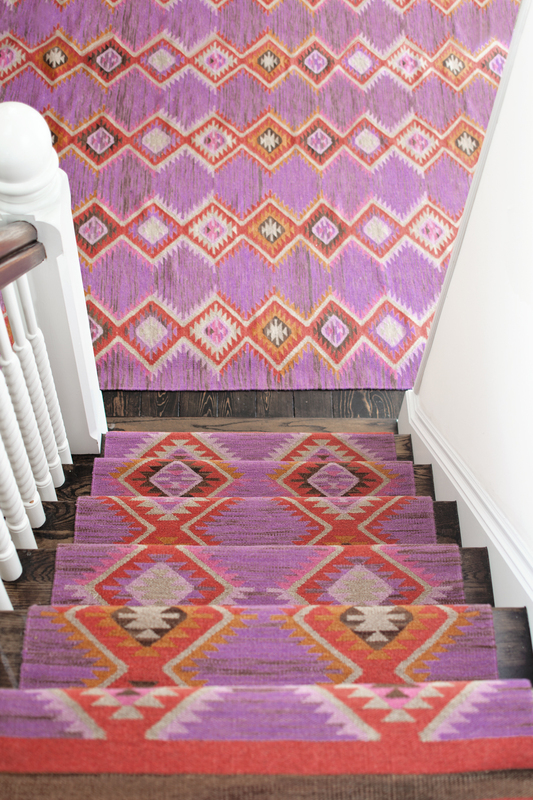 Because they’re handmade, kilim woven wool rugs are professional clean only. My Cat’s Paw Brown woolen hooked rug makes me smile every day. I was hesitant about wool with three dogs, but it works beautifully.